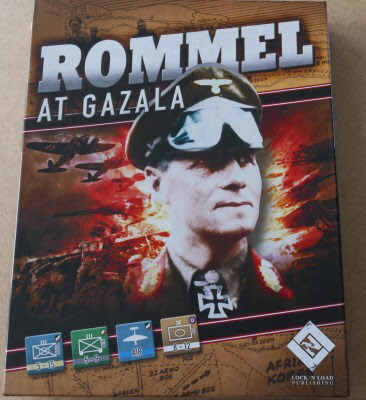 Rommel at Gazala is newly released by Lock 'n Load. The game is published as a second edition, with the first edition known to gamers as a Desk Top Published (DTP) production made available by its designer - Jim Werberneth. This post gives access to a short video review of the product, a sort of mix of an unboxing video, together with some observations and comments. Since Lock 'n Load is under new management, I thought it would be interesting to look at one of their new releases with regards to production standards and development. With its relatively small footprint and low counter use, figure gamers may be interested in using this game as a basis to manage a miniatures campaign. Each hex can generally hold up to a divisions worth of units. Please tap the below link for the YouTube video.